SERENADE has not been fully developed and so has some quirky shortcomings but it is an excellent program to use in both playing and teaching songs. 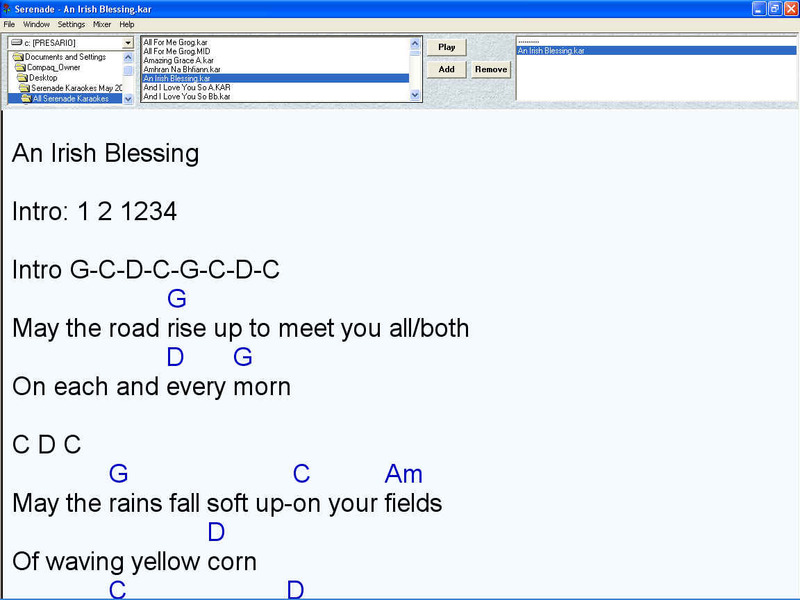 The inserted chords can be used as a guide by any musician playing an accompanying instrument. 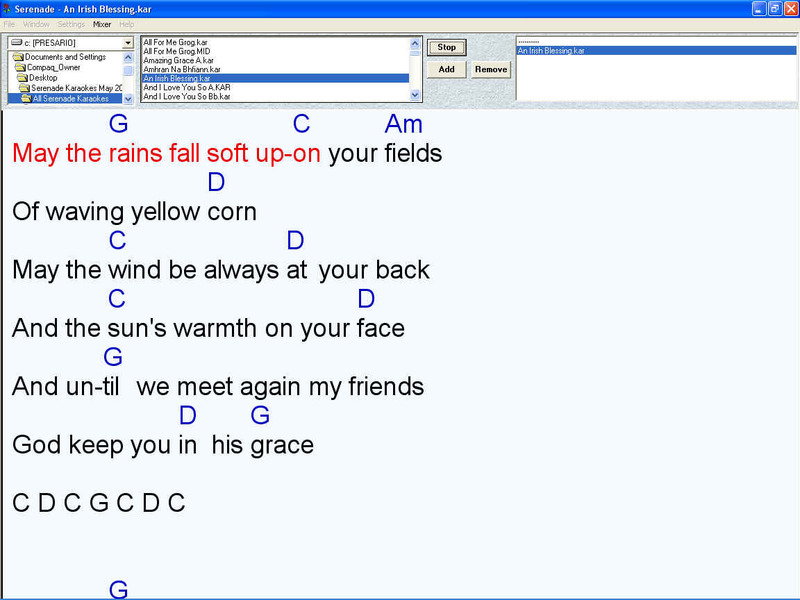 In "Editor" mode choose "Chords and lyrics"